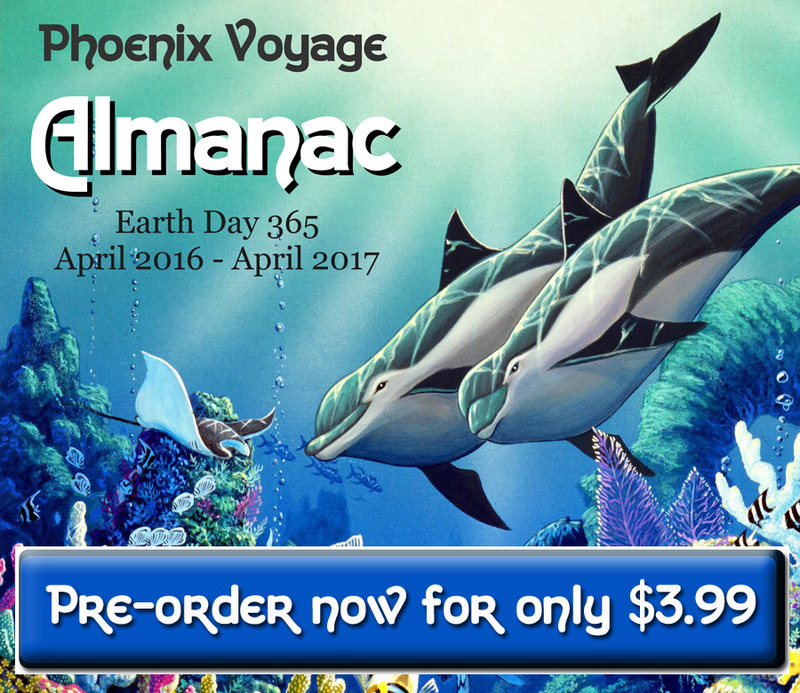 The Phoenix Voyage Earth Day Almanac is here! It’s the perfect guide to living healthier and more globally conscious. This unique Almanac delivers useful tips, predictions and beautiful imagery in a month-by-month guide you’ll want to have at your fingertips all year long. Inside, you’ll find a wealth of information from leading experts and change-makers from across the globe, including articles on boosting immunity the natural way, the power of vegetables, maximizing your garden, business advice, global crisis/solution updates and much more. A month-by-month calendar helps you easily track phases of the moon and astrological forecasts provide inspiring insight. Plus, you’ll enjoy plenty of environmentally focused activities and amazing bonuses! 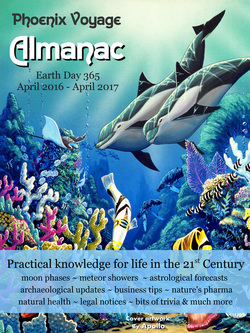 Order your Phoenix Voyage Earth Day Almanac today to stay connected with our important causes and be part of real solutions on Earth Day and throughout the year. There’s no better way to show your support and commitment to global humanitarianism, sustainable initiatives and clean living. Together, we can make the world a better place! Please support the Phoenix Voyage humanitarian programs by helping to spread the word about our first eBook. You can use the banner to the left for websites and promotions. Thank you for your time and effort. All eBook purchases come with coupons from our special friends with over $150 of value.